A sleek and stylish used Honda Accord is just what the doctor ordered if you're looking for an affordable, family sedan. 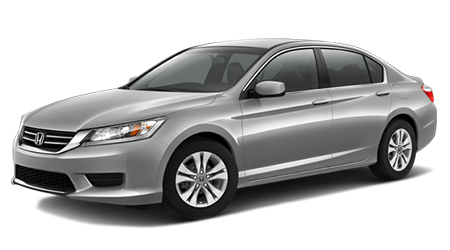 More budget-friendly than a new Accord, a used Honda Accord is just as reliable because it comes with the Honda pedigree. Come browse our selection of used Accords at Manly Honda in Santa Rosa, CA. Our seasoned sales team wants to make you a great deal so you can park a beautiful used Honda Accord in your garage in Petaluma, Rohnert Park, Sebastopol or Sonoma tonight! A used Honda Accord has a reputation for being a reliable, comfortable family sedan but did you know it's also loaded with standard features? All used late-model Accords include an Inline 4-cylinder or V6 engine with manual or automatic transmission, an audio system with AM/FM/CD/MP3, remote keyless entry, air conditioning, cruise control, ABS brakes, an engine immobilizer, power windows and door locks, trip computer, tilt and telescoping steering wheel, power-adjustable outside mirrors, 12-volt power outlets, and front bucket seats. If you want even more confidence in your used Honda Accord, consider a Certified Pre-Owned (CPO) Accord from Manly Honda, which must meet high standards to reach that status. First, a used Accord must be 6 model years old or newer and less than 80,000 miles on the odometer. It then undergoes a demanding 150-point inspection by factory-trained technicians, and a CARFAX history report which reveals any damages, repair, or accidents must accompany a CPO Accord. So you'll be in true accord when you buy a Certified Pre-Owned Honda Accord! All CPO Honda Accords are backed by a fantastic warranty, including a 12-month/12,0000-mile extension of the New Car warranty and a 7-year/100,000-mile powertrain limited warranty with no deductible required for covered repairs. You can also opt-in for purchased Honda Care Certified Additional Coverage, which extends the powertrain warranty to 8-years/120,000 miles and includes roadside assistance and more vehicle systems coverage. Another benefit includes a complimentary 3-month subscription to SiriusXM if your CPO Honda Accord has satellite radio capabilities. When you visit the Manly Honda website, just fill out a simple four-step application, and you'll be contacted shortly about what loan amount you've been approved for and what financing options are available. If your credit isn't stellar, don't fret, as our finance team works with multiple lenders and will make it a priority to get you into the used Honda Accord you want. If you're in the market for a used Honda Accord, stop what you're doing and come search our inventory at Manly Honda in Santa Rosa, CA, serving Sonoma and Sebastopol. We'll help you find the used Accord you're looking for, so get ready to drive off in one this afternoon!